The meme coverage that built Mashable was becoming commoditized. So Mashable used its new capital to hire Roberts and other pedigreed journalists. Soon, there were stories on terrorism and Ukraine leading the homepage, a big change for a site better known for covering social media and internet memes. Astonishing, really. The site chose to move from a beat which was becoming a commodity, but in which it had a leadership position, to a beat that was already commoditised. Why anyone would choose to join in with the cut-throat struggle that is mainstream reporting now, without a profoundly different take on it to set themselves apart from the mass of international news outlets, is quite beyond me. Doug Rozen, chief digital and innovation officer at OMD, said he sees small or midsize publishers run into trouble when they change their editorial mandate. Ambition is a good thing until it becomes a cover for trying to be everything to everyone. 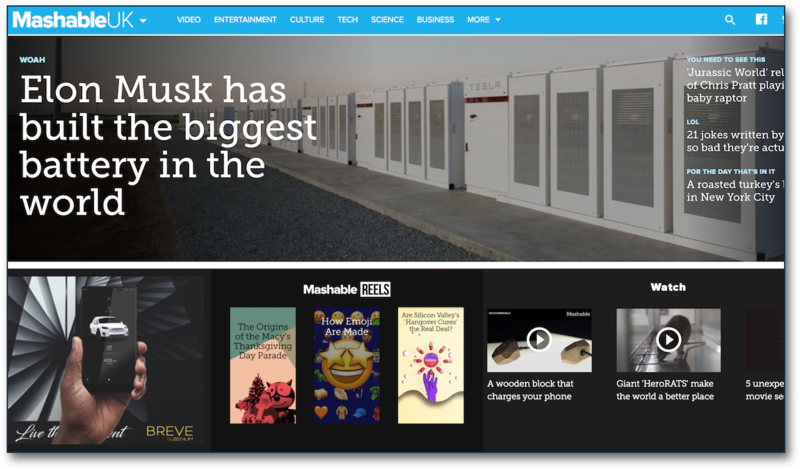 Mashable was serving a need as a go-to resource as social media marketing took off. But was it serving a need being yet another publication covering general news? It’s a shame – because nobody really does what Mashable used to do. And I miss that. Today’s homepage? A mass of undifferentiated stories. I’m honestly not sure what Ziff Davis is buying – other than a bunch of traffic.